Islam and Life of Muslims in Non Muslim Countries: Ghana ~ Islam My Ultimate Decision . Ghana, once called the Gold Coast (for its gold), is bordered by Burkina Faso to the north, Togo to the east, and Cote d'Ivoire (or Ivory Coast) to the west. The Atlantic Ocean is to the south. The capital and largest city of Ghana is Accra. Islam is one of the major religions practiced widely in Ghana. Its presence in Ghana dates back to the 10th century. Although Christianity is the state religion, Muslims are fast catching up with the majority. There are many accounts available at to the exact number of Muslims in Ghana, i.e., from 20% to something like 45%, but exact numbers is not known and Muslims have expressed concerns that state of Ghana is hiding the true status of the Muslim minority. Ghana is considered one of the more stable countries in West Africa since its transition to multi-party democracy in 1992. However, both Christians and Muslims endure an excellent relationship and exhibit a very tolerant inter faith harmony. The Muslim Representative Council represent the Muslims, and coordinate matter all religious, social, and economic matters affecting Muslims. The primary aim of Christian–Muslim dialogue is to gain a better understanding of each other, to do away with prejudices and stereotypes, and to cultivate harmonious relations and the peaceful coexistence of people of different faiths in Ghana. 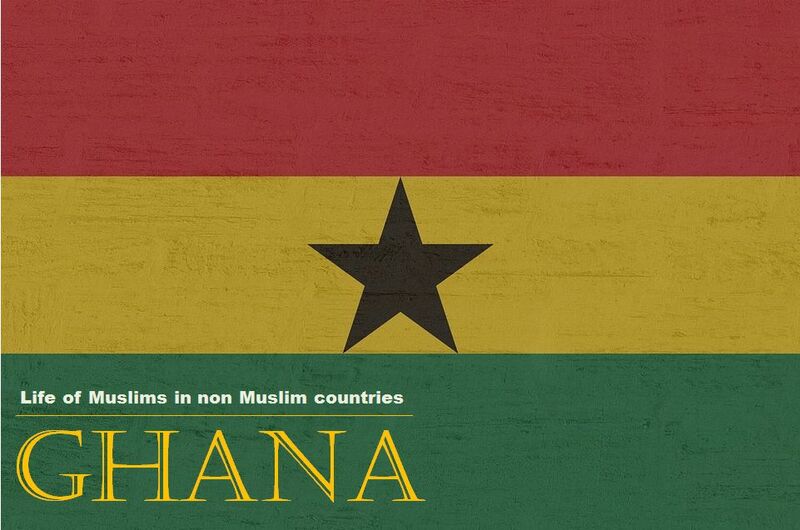 Most Ghanaian Muslims are Sunni, initially following the Maliki version of Islamic law. However, the Maliki school of jurisprudence was the most common until Afa Ajura's reformist activities in the 1960s saw an overwhelming shift toward Hanbali doctrine. 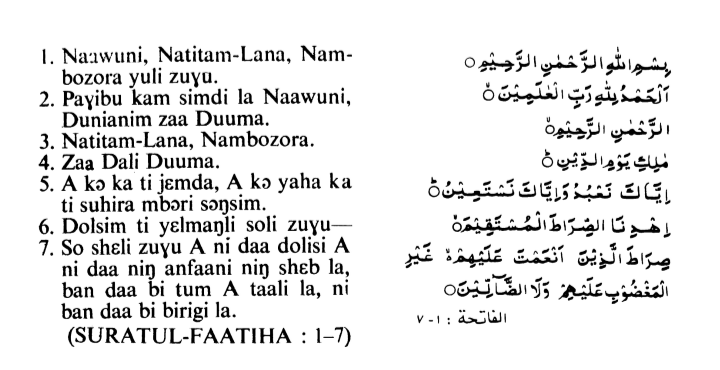 Sufism, once widespread, has waned considerably over the years; the Tijaniyah and the Qadiriyah brotherhoods, however, are still represented among Ghana's traditionalist Muslims. The National Hajj Council observes the responsibility of arranging pilgrimages to Makkah for believers who can afford the journey. The National Chief Imam of Ghana is the highest authority on Muslim affairs in Ghana. Islam entered into West Africa, beginning with ancient Ghana in the ninth century through Muslims engaged in commercial activities of North African. The empires of both Mali and Songhai that followed ancient Ghana in the Western Sudan adopted the religion. Islam made its entry into the northern territories of modern Ghana around the fifteenth century. Mande or Wangara traders and clerics carried the religion into the area. The northeastern sector of the country was also influenced by Muslims who escaped the Hausa jihads of northern Nigeria in the early nineteenth century. Islam is a visible and an audible religion in Ghana. Mosques can be easily found in villages, towns, schools, markets, hospitals, and even work places, amplifying the call to prayer. The 15th century Larabanga Mosque, pictured above, is a major Muslim landmark, built in the Sudanese architectural style in the village of Larabanga, Ghana. 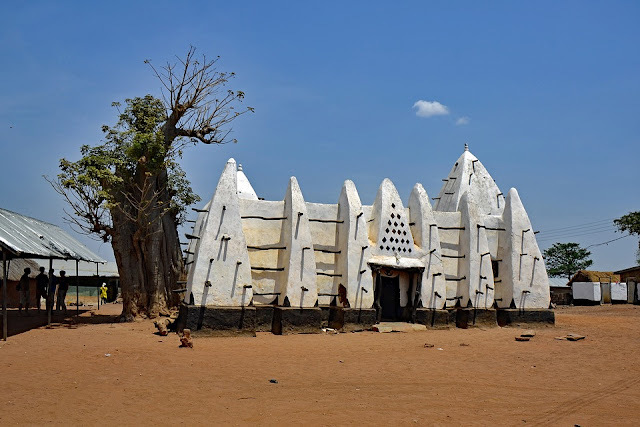 It is the oldest mosque in the country and one of the oldest in West Africa, and has been referred to as the "Makkah of West Africa". The mosque, built with mud and reeds, has two tall towers in pyramidal shape, one for the mihrab which faces towards Mecca forming the facade on the east and the other as a minaret in the northeast corner. Built in 1421, the World Monuments Fund (WMF) has contributed substantially to its restoration, and lists it as one of the 100 Most Endangered Sites. 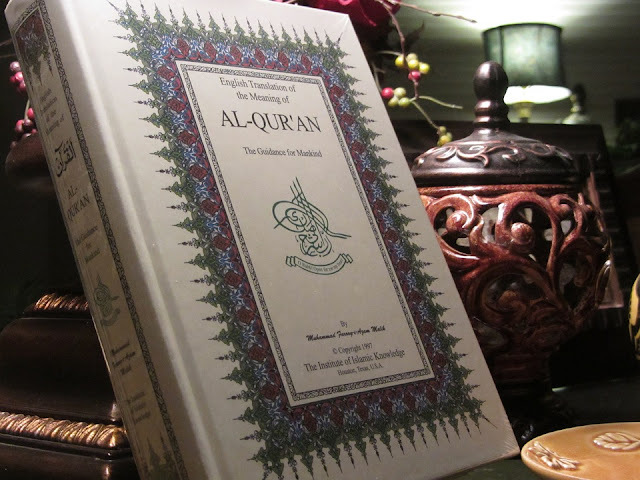 Despite its many contributions, it is generally felt that the Muslim Council has not succeeded in taking initiatives for the upgrading of Islamic schools beyond the provision of basic Quranic instruction. This may explain the economic and technological gap between Muslims and non-Muslims. Another Muslim organization by the name of Islamic Bureau for the Disabled and Service provides services to Islamic Institutions, based in Accra, Ghana, and provides services and help in the area to anyone, regardless of race, religion, or ethnicity. In the true spirit of Islam they provide immediate aid to the disabled, financing their schooling and pressing needs. It provides wheel chairs and monthly support. It also lends assisting hands in building new mosques, hospitals, schools, wells, educational complexes for both Muslims and non-Muslims communities in Ghana and organizes events to present the true message of Islam. The presence of Ahmadis, who call themselves Muslims but their claims rejected by the mainstream Muslims for calling their head of the organization as a follow up prophet to Prophet Muhammad (peace be upon him), often results in instances of tension and violent confrontations between different Muslim groups in Ghana, especially between Ahmadis and mainline Muslims. The bloody confrontations of the early days of Ahmadiyya have largely given way to mutual suspicion, contempt and non-cooperation. There have been instances in which mainline Muslims have walked out of meetings in protest against Ahmadiyya presence. There are also tensions between indigenous Ghanaian Muslims and other West African nationals over leadership. The latter see themselves as the right custodians of the Islamic tradition and resent taking subordinate roles to indigenous Ghanaian Muslims. Muslims have continued to contribute greatly to the socio-economic and political life and development of Ghana. Since the 1970s they have shown great openness to, and an appreciation of, non-Islamic education. The establishment of several English/Arabic schools has greatly facilitated this development. The relation between Muslims has varying shades. There is general lack of awareness and interest amongst Christians concerning Christian-Muslim issues. As far as many Christians (including Church leaders) are concerned there is no need to study Islam. Some Christians who see Muslims purely as objects of evangelism. They are engaged in open air preaching in Muslim areas. As far as this group of Christians are concerned, the only legitimate relationship a Christian can have with a Muslim is in the area of evangelism. The study of Islam to such Christians is always geared at looking for the "weaknesses" in order to prove to Muslims that there is no salvation in Islam. There are however those who are seriously seeking to promote a better understanding of Islam and trying to creatively address the Muslim presence. The Christian Council of Ghana has a Christian-Muslim department which seeks to organize Islamic seminars for Christians. Response to this approach is still very low key and even with heavily-subsidized seminars very few people attend. The few who attend are normally from the mainline Protestant Churches. This trend though seems to have some prospects because it was out of these seminars that some of us were first introduced to the study of Islam and Christian-Muslim relations.